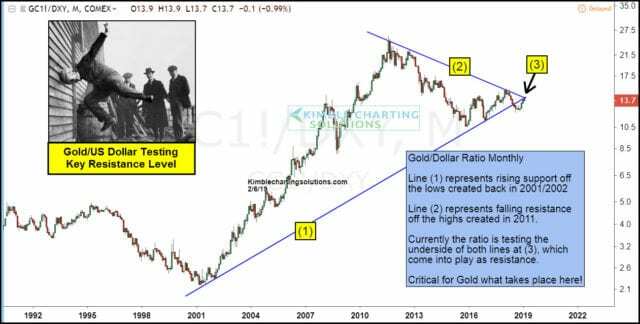 Is the nearly 8-year decline in Gold prices coming to an end? That may depend on what Gold does in the days/weeks ahead. This entry was posted on Friday, February 8th, 2019 at 7:03 am and is filed under Chart School, Immediately available to public. You can leave a response, or trackback from your own site.